(Ottawa, Ont.) For the Canadian Wheelchair Basketball Teams, the summer of 2016 was all about one thing: getting ready for Rio. As summer winds to a close so too does the culmination of four years of rigorous training and countless sacrifices to get to this point. Team Canada is ready to hit the court at the Rio 2016 Paralympic Games and write the next storied chapter in its unwavering pursuit of athletic excellence. 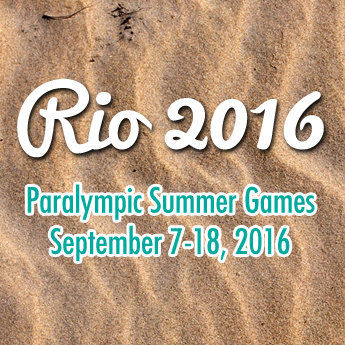 The Paralympic Games takes place September 7-18, 2016 in Rio de Janeiro, Brazil.  The wheelchair basketball competition runs September 8-17 at Carioca Arena 1 and the Rio Olympic Arena. 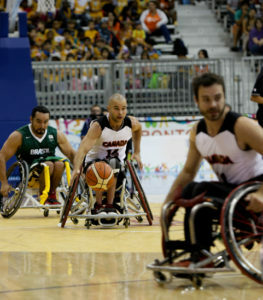 The Canadian Men’s National Wheelchair Basketball Team enters Rio in search of its fourth Paralympic gold medal and fifth consecutive podium finish. The men are the defending Paralympic champions, winning gold four years ago at London 2012.  Since then, the men’s roster has seen its fair share of changes, now boasting an even mix of experience and new talent. The Canadian roster is bolstered by six Paralympic gold medallists. The eldest veterans on the team, co-captain David Eng (Montreal, Que.) and Adam Lancia (Toronto, Ont. ), look to take a leading role and bring some competitive fire as they enter their fourth Paralympic Games. Team co-captain, Bo Hedges (Wonowon, B.C. ), promises to be a calming presence on the court thanks to his two previous Paralympic appearances. Likewise, Abdi Dini (Scarborough, Ont. ), also a master of poise under pressure, hopes to continue the team’s podium streak in his third Paralympic Games. Chad Jassman (Calgary, Alta.) and Tyler Miller (Kitchener, Ont.) found success in their Paralympic Games debuts in 2012 and both bring a physical element to the game. Six athletes will also make their Paralympic Games debut in Rio. Nik Goncin (Regina, Sask. ), Deion Green (Victoria, B.C. ), Liam Hickey (St. John’s, N.L. ), Jonathan Vermette (Sherbrooke, Que.) and Peter Won (Blackfalds, Alta.) were all key contributors in Canada’s bid to qualify for Rio 2016 at the 2015 Parapan American Games. They are joined by rookie Ben Moronchuk (Edmonton, Alta. ), who will make his international debut for Team Canada in Rio. Steve Bialowas (Richmond Hill, Ont.) 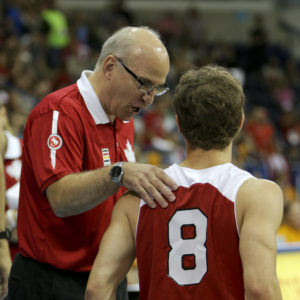 will be behind the bench for the Canadian men in his first Paralympic Games as a head coach. The Canadian men open competition on September 8 against Spain, whom they had tight competition with in their exhibition play this summer. From there, the men will face the Netherlands, reigning world champion Australia, Japan and Turkey in Group A. All eyes will be on the September 10 game against Australia, with whom Team Canada has had an intense rivalry. The teams have met in the finals at the last three Paralympics, with Canada emerging victorious in 2012 and 2004, but falling to the Aussies in 2008. Group B features the United States, currently ranked second in the world, alongside host Brazil, Germany, Algeria, Great Britain and Iran. 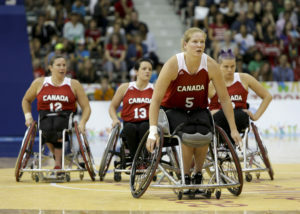 The Canadian Women’s National Wheelchair Basketball Team is the reigning world champion and enters Rio 2016 determined to cement Canada’s status as a force to be reckoned with on the court with a return to the Paralympic podium. Ten athletes return from the world championship team in 2014, as the Canadian roster features a wealth of international experience that has the team poised for a strong performance in Rio. Three-time Paralympic gold medallist and experienced veteran Tracey Ferguson (Richmond Hill, Ont.) enters her seventh Paralympic Games backed by her leadership and competitive spirit. Watch for the veteran offensive powerhouse trio of Katie Harnock (Elmira, Ont. ), Janet McLachlan (Vancouver, B.C.) and Cindy Ouellet (Quebec City, Que.) to put up the big points for Team Canada in Rio. All three are going into their third Paralympic Games. 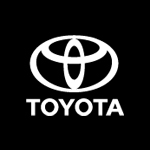 Darda Sales (London, Ont.) will be making a debut, of sorts, in Rio. A two-time Paralympic medallist in swimming, Rio will be her fourth Paralympic Games but her first in wheelchair basketball since she transitioned from the pool to the hardcourt. Tireless competitors Jamey Jewells (Donkin, N.S.) and Tamara Steeves (Mississauga, Ont.) enter their second Paralympic Games ready to work and to shed the disappointment of the team’s sixth place finish at London 2012. Team Canada has five Paralympic rookies ready to make an impact at Rio 2016. Former university stand-up standout Erica Gavel (Prince Albert, Sask. ), speedster Melanie Hawtin (Oakville, Ont. ), shutdown specialist Rosalie Lalonde (St-Clet, Que. ), the versatile Amanda Yan (Burnaby, B.C.) and sharpshooter Arinn Young (Legal, Alta.) all hope to add to their medal collection in Rio. Head coach Bill Johnson (Winnipeg, Man.) 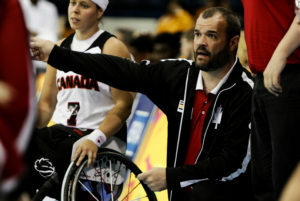 is once again at the helm of the Canadian women’s team for his second Paralympic Games. “Going through the grind of the world championship in 2014 has really helped us all learn what it takes to be successful in a long tournament,” said Johnson. “I am confident we can use that experience to help us achieve our Paralympic goals. Canada is situated within Group A and will face off against host Brazil, Germany, Great Britain and Argentina in the preliminary round. Canada opens tournament play at 9:30 a.m. BRT on September 8 against the Brits. The United States are in Group B along with the Netherlands, France, Algeria and China. 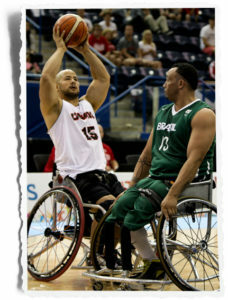 Wheelchair Basketball Canada will be keeping you up-to-date on the latest hard-hitting action from the Games. 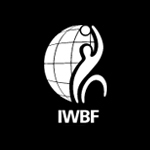 Join the conversation on Facebook, Twitter (@WCBballCanada) and Instagram (@wheelchairbasketballcanada).  Fans can also follow the entire Canadian Paralympic Team at paralympic.ca or by following @CDNParalympics on Facebook, Twitter, Instagram and YouTube.  The Canadian Paralympic Committee Media Consortium, led by CBC/Radio-Canada, will bring unprecedented broadcast and digital coverage of the Paralympic Games. Watch the livestream at cbcsports.ca/paralympics or via the CBC Sports app.  Check out the full broadcast schedule at paralympic.ca/watch-team-canada.